The light bluish gray 1 x 4 tile is not part of the inventory. It's not shown in the manual in the back and it's not needed to build the model. This part in this color is needed to build the model. it is shown on page 85, step 117. 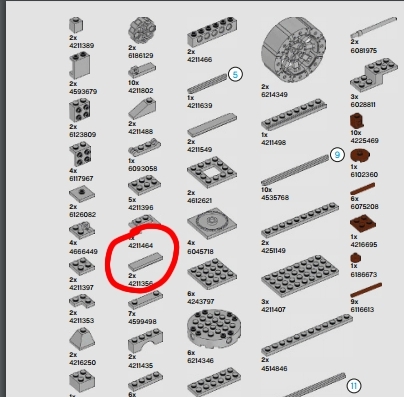 It is also showed on parts list in the instruction.